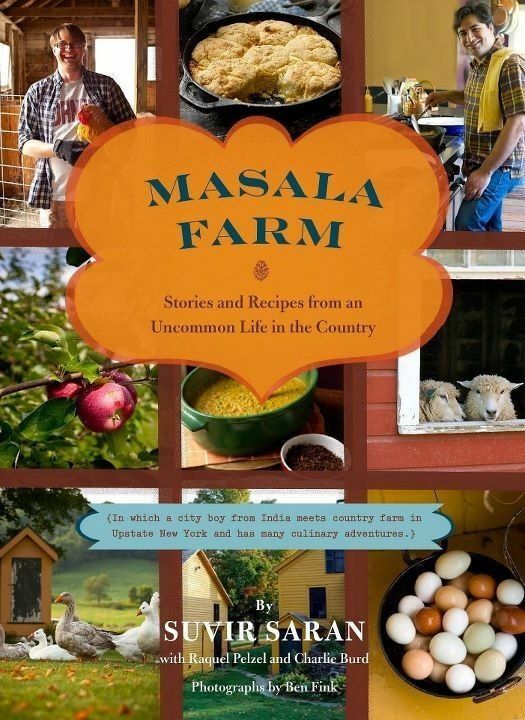 Tell us about your book Masala Farm. SS: Masala Farm is a very personal and intimate literary portrait of the life of our farm and those that affect our lives here. A cookbook/memoir, it is the sweetest book I have written thus far, and also the first book that I have Charlie Burd (my life partner) as a co-author with also the ever brilliant, Raquel Pelzel. It is the culinary story about the last five years of our lives. About how two men from Manhattan create a life in the country. I life that gets simpler and richer - all at once, after the move to a rural idyll. It shares stories of what happens when boys from the city move to the country. How the people are affected by this new reality in their midst. How people in the country change the mindset of the boys from the city. And, it shares how the food I cook, takes on new purpose and new simplicity and comes with messaging to enable others to at least give a try to a newer more mindful way of living. The book also shares stories that showcase those moments in our lives in the last five years that have mean something to us. The book lists resources from around the area that can add sweet magic to the lives of visitors or locals. The photos from Ben Fink combined with the farm-yarns in the book share stories that create an ethos about the farm and the community that should inspire other people and communities. When did you decide to write Masala Farm, and how did you initially conceptualize the project? SS: After having spent a couple of long winters in North Country, we knew we were meant to live here. Winters are a six month indulgence in our area. They are the season that sticks with people and is the test of ones commitment to life here. We knew our second spring here, that we were now as local as we will ever be. In small communities like ours, even 50 years in the community, cannot make you feel local. A local is only that person who is born in the community. That said, one finds acceptance and welcome through actions. Charlie and I strive daily to lead lives that can be a worthy example for any and all that are following our trails. As we found more and more people at our table, and found the people coming to our table to be a motley assortment, we knew we were doing something right. We know with time, we would feel at home, even if not be local. And so, we decided to document our food adventures and also pay attention to all that happened around us, with the idea that soon, it would all be shared in a book, or two or five. The concept may have been with us even before we moved here formally, but it was formally conceived in the spring of 2008. What kinds of details did you want to include in Masala Farm that are unique to your book? SS: The stories of incidents that happened in our farm like a local stopping by to get a sample of our eggs and then offering Charlie a joint as his gratitude for a couple of eggs, is a story I am sure not many books could share. The story about how we had to deal with the loss of a beloved goose that could not be saved by the vets, had to be cremated and we had to choose if we wanted a private or public cremation, is another story not many people will live and then share. The stories are endless. The recipes in this book are very honest, very well tested and edited, they work and they are written with the hope that people shall work with them, and put them to use. Not many cookbooks make a concerted effort to draw people into the kitchen. This book, as the others I have written, were written for those that cook, and for novices that would be inspired by the stories, the headnotes and the voice on the page - my hope in this book was to draw people into our lives and share with them the magic and the challenges of our lives that make it both real, dreamy and also approachable. It is this unique blend of honesty and fantasy that I hope will keep people pulling the book out of their book shelf and putting it to good use in their kitchens here. What was your vision for the art plan for Masala Farm? SS: My vision for this book was to give the reader a book that was easy to travel with. To take on a journey and feel it would serve more than a singular purpose. Be reading material and a recipe book. Have enough of both the memoir quality and that of a cookbook/cooking journal. We wanted the book to showcase our lives, showcase our community, to give the reader an intimate portrait into the lives that live at American Masala Farm, and also those transient lives that change the daily rhythm at the farm and bless it with a nuanced individuality that does not happen if guests are not part of the equation. The idea was to share with people how a sense of community and communion through food and sharing can change how we relate to each other within a community and beyond. And so, I wanted the look of the book to be just precious enough, but also be comfortable enough, simple, chic and subtle. How did you decide to use Ben Fink for the photography for your book? SS: Ben and I have worked together since 2002 since we first chatted about him working for my first cookbook, Indian Home Cooking. We clicked from the get-go. Our studies in the visual arts gave us a common background. I also found Ben very approachable, a deeply reflective artist and a human being with utmost integrity, humanity and generosity of spirit and self. These are traits I value beyond any other. These were attributes that brought me confidence in him that his work alone could never have. There are brilliant people who are not happy people. Ben has the brilliance of the best talent there is in his trade and he also has in equal measure the sincerity of the most sincere, the magnanimity of the most magnanimous one could ever know, and the patience of a saint. How could one then move away from such a wonderful mix of magic. Especially when this is all present in one person. Thus, it should be no surprise to anyone that Ben has been the photographer for all three of my books. Thanks Ben! 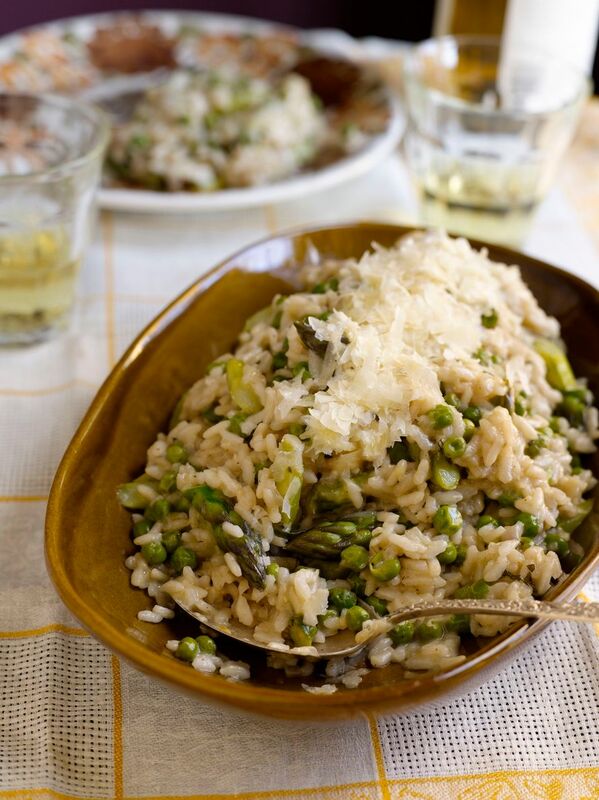 Love how Ben captures the light, the look and feel of the table, the shape and form of the rice and vegetables and also the freshly grated cheese added as a last minute garnish. In this photo, by whitening out the entire background, Ben has placed the focus on the roasted garlic and the potatoes and herbs. 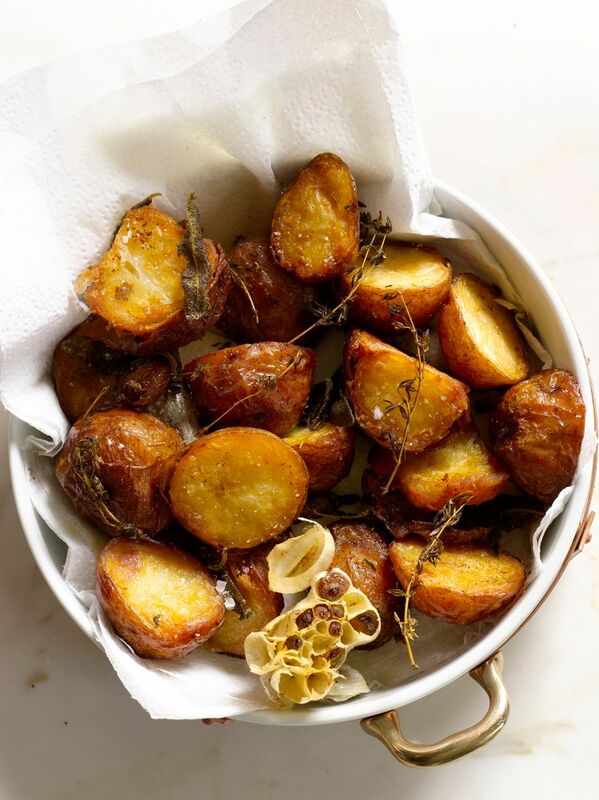 Brilliant photo that not only shares the simplicity of roasted potatoes, but also is able to highlight the few ingredients that the dish relies on for its magic. Like the salt, garlic and herbs. Ben captures very cleverly the pie in the dish, and the pie on the plate, whilst sharing the brightness of the summer light and also the warm and rich flavors it brings with its strength. 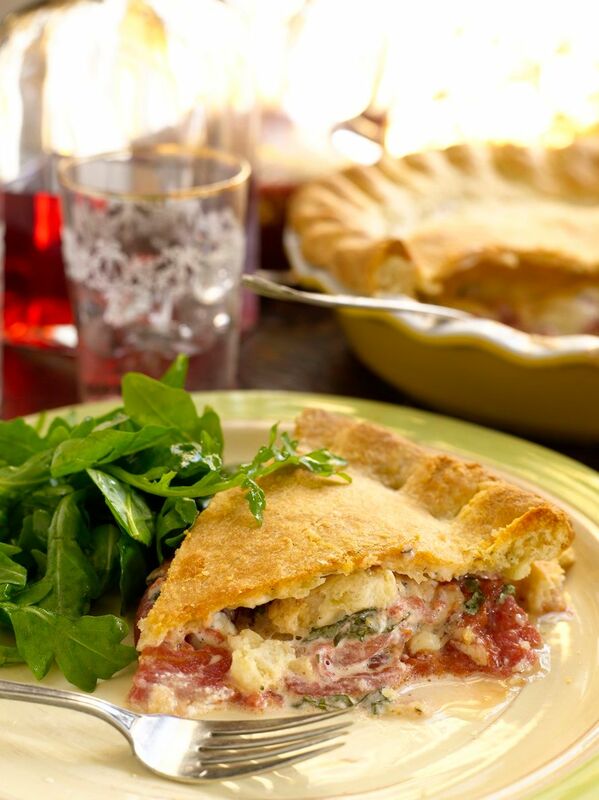 By showing the reader the inside of the slice of pie, he has shared the essence of the pie and thereby the reason I wanted people to have this recipe. Magic in simplicity and richness in ease of preparation. Even the mostly-vegetarian me, wants to eat this photo. 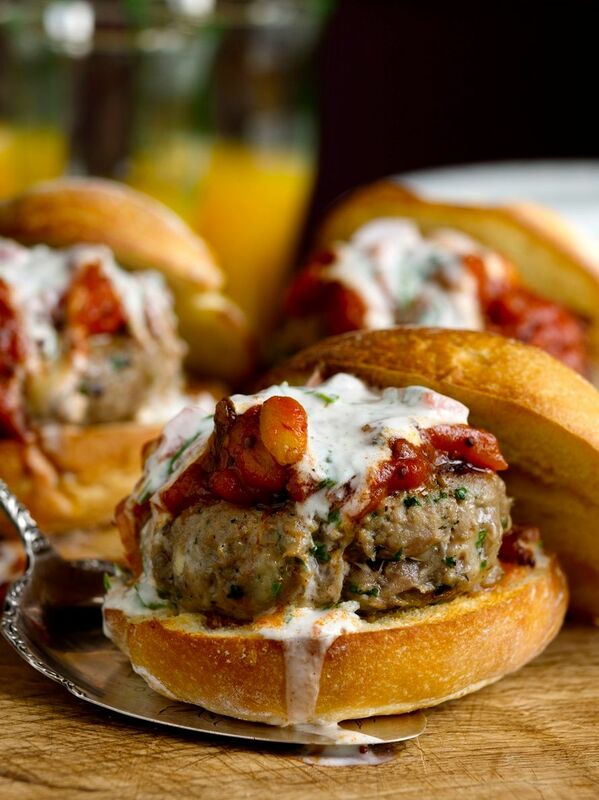 The moistness of these burgers is the reason this recipe made its way into my cookbook. I am NOT a Turkey fan, yet, this burger that I made, has me quite convinced turkey can be brilliant. The burgers are about a complete package, and in Ben's photo of my turkey burgers, every element of the burger are given a moment to shine. The light could not be any more flattering for each of those elements. There is movement in this photo. There is light, there is reality and there is fantasy. The steam from the pot suggests the very heart and soul of this recipe. Mulling away, being cooked gently, and shared as people come to partake. The pomegranate seeds he allows to shine in his foreground, give the reader the idea of exotica and still remaining grounded by the approachability and warmth of the recipe on hand. Ben captures the burgers and their crispy texture and healthful message quite beautifully and easily. By focusing on them whilst also allowing the salad, the dressing and the bowl of salad to all be part of his composition, Ben shares through his visual master of messaging the very message I had hoped to send with this recipe. Ben is able to capture through light and clever composition that unique simplicity of the dish in point. There is not much that one can do to make eggnog seem fanciful or creative. Yet, with the addition of the nutmeg grater, and by allowing the embroidered rooster to be in his photo, Ben has given enough drama for the eye to feast on, that gives one fodder for indulgence, but not enough to distract the eye from what is the focus. This photo is all about light, composition and texture. Ben is able to capture the essence of the terrine in a way that I feel most would never have managed. The background is busy, but does not fight with the terrine, which is centered and focused and comes out as the feature in the image. Ben uses the garnishes themselves and the finished dish in a bowl, and the pot in which the dish was cooked - all to create a composition that ensures a dish that is more about flavor and less about looks, has a visual appeal as well. This kind of mastery of the eye, is Ben's gift. He knows how to make food that is about flavor, look delicious to the eye, even though it lacks visual appeal if compared only visually against pretty food, that often lacks gravitas of flavor. Love how Ben captured me grating parmigiano reggiano onto the pasta in the bowl. His clever use of the red chair we had in the dining room against the green of the outside of the front door of the kitchen creates for an amazing background for the pasta. Makes it rich and warm, comforting and delicious - all at once! SS: The photo of the sampler with a man and woman on each corner, but Ben converted the photo digitally to become two men, and also changed the message on the photo as well as the gender of the dogs. That was plain Magic! Sad the designer of the book could not find a place for that brilliant photo. SS: Originally the book was supposed to be a memoir with farm stories and some recipes and photos of food and landscape. But with so many glorious photos and recipes, I am lucky that my editor and Chronicle books, allowed themselves and us to enlarge the scope of the book. Ben's tireless energy and his infectious way of getting the most out of each day, allowed us all to perform at the best level we could. The book is now blessed with many more recipes photos. All of which capture the essence of our lives, of the table we keep at the farm, and the life of the food and the animals. The vision grew as Ben photographed and visually shared what the words on the page were hoping to share. Together, I feel the readers will be captured visually first and then arrested by the honest outpouring of the emotions the book conveys. This is the most difficult task a photographer is given, and Ben took it on without fear and through his brilliant work, captured our voice and souls, and shared them quite poetically and with a lyrical mastery. 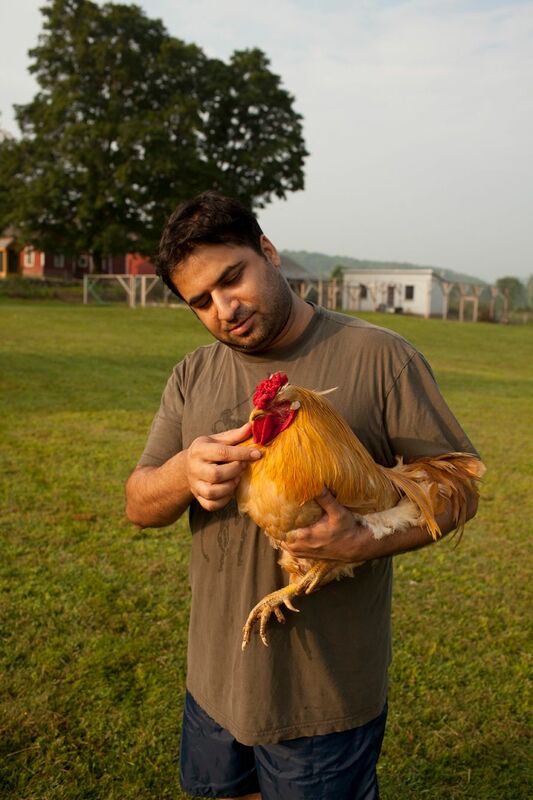 Suvir Saran is a chef, cookbook author, educator, consultant, and farmer. He is the Executive Chef at Devi restaurant in New York City. Read more from Suvir on his website and blog, and buy his wonderful book HERE.